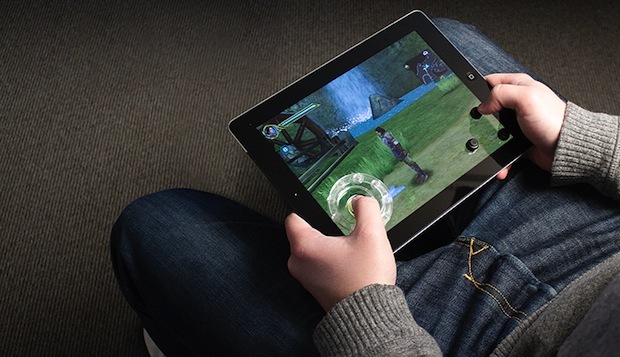 SteelSeries announced the availability of their Free Touchscreen Gaming Controls for mobile and tablet gaming. They stick right on the screen, adding a d-pad and buttons to give you something close to what you'd expect to feel when using a standard controller. The controls work with just about anything with a touchscreen, including iOS devices, Android phones and tablets, and Windows devices. You'll get 3 buttons and a joystick in the package, and a carrying case is also included. They stick on with suction cups made of conductive rubber. These controls are available on the SteelSeries Web Shop now for $19.99. We'll try them out and let you know what we think.